50 Gal Heater, and stand removed to make room for new shelves. 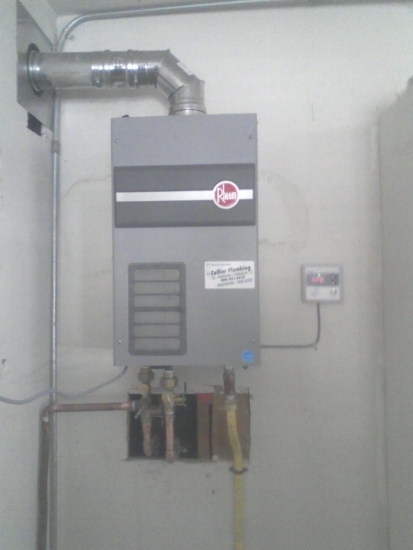 Tankless Unit to make way for the new book shelfs. Look's Great !